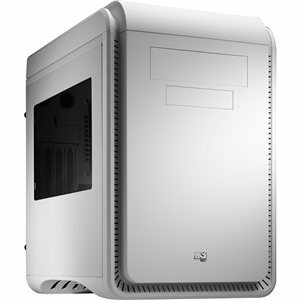 Aerocools DS-Cube, with its elegant appeals and clean design, is the perfect chassis for latest small-form-factor components! Users have the choice between total of six color variations. Furthermore, each of the models is equipped with a removable and exchangeable top-cover, allowing users to switch between the plain-color version for silence mode and a mesh-design version for improved airflow. Thanks to its compact size, DS-Cube is the perfect companion to attend LAN-Parties! Supports internal 3x3.5"HDD and 2x2.5"HDD/SSD.